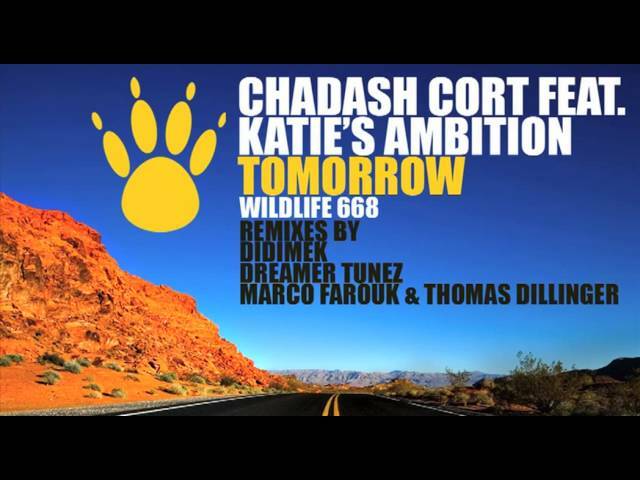 Chadash Cort presents his latest release "Tomorrow" on the Wildlife imprint, featuring the vocals of Katie's Ambition. Ever since he debuted on Wildlife with his single "Brand New", Chadash Cort has been going strong with a steady flow of well produced tracks and remixes. Active since 2000, he entered the world of house music in early 2004. Always dedicated to deliver live DJ sets that move between driving electro and commercial sounds, Chadash played the most famous night clubs across Turkey and the Middle East such as Aura Club, Ally Club, Pacha, Ministry Of Sound, Little Buddha, La Dolce Vita and many more. Voted best DJ of Turkey in 2010 and 2011, his productions were played by Roger Sanchez, David Vendetta, Jerry Ropero,Erick Morillo and David Morales. With the success of his previous releases “Antalya” and “Brand New” notched tightly to his belt, Chadash Cort now ignites dance floors with "Tomorrow". Katie's Ambition, delivering the vocals on this new gem, is a singer/songwriter who has worked with artists like Torqux, Hybrid Minds, High Maintenance, DJ A.M.C, Fourward, T-Phonic, Baratone and many others. Katie is also active as an acclaimed DJ smashing out sets, mixing drum 'n' bass and dubstep, whilst performing many of her own tunes live during her performances. With many top 20 releases already on Beatport, she continues to work with big name producers. "Tomorrow" truly sparkles as an uplifting electro house track with clear Balearic influences. Complementing the full production with the vocals of Katie's Ambition, "Tomorrow" may well Chadash Cort's next hit single. The three killer remixes by Marco Farouk & Thomas Dillinger, Didimek and Dreamer Tunez all add a rougher, serrated electro edge to the original version. Definitely one that will storm the clubs! Supported by: Faruk Sabanci, Roog, Erick Morillo, Ian Carey, David Vendetta, Jonny Vicious, Karen Dolce, Ryan Morales and many more.